Joy is her name but also her motto. While other 15-year-old girls in India are studying at school, she is learning math, biology, geography and all the other school subjects at home and going from time to time to a special center to pass her exams. 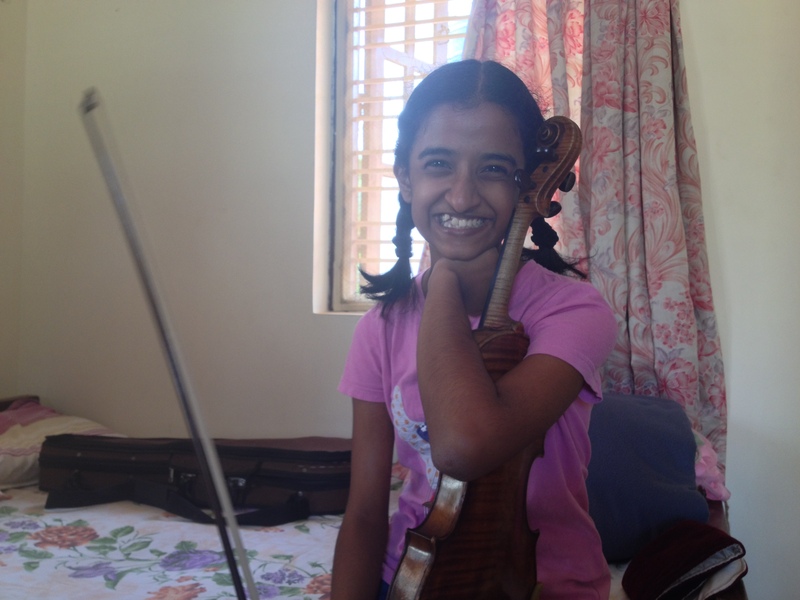 Meanwhile she is practicing her violin and piano around five hours a day – with a lot of pleasure and discipline. She lives with her parents and her older brother in a little house in Bangalore where she’s got her small room of a bed size under the roof. The ceiling is full of her fabulous drawings, another thing where she has great talent. This tiny universe under the roof and her amazing eager are touching. There aren’t many people who impressively follow their convictions as she does.